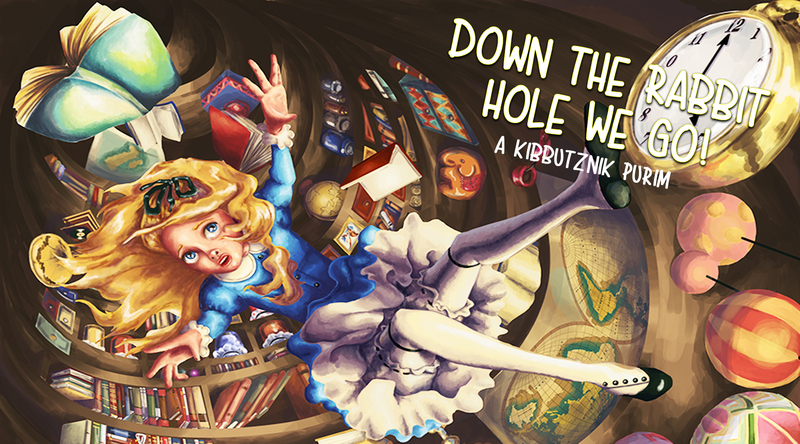 Join Kibbutznik as we delve into a creative re-imagination of the story of Purim, retold through the looking glass of Alice in Wonderland. Help all of our friends including Mordechai the Mad Hatter and King Haman of the Stolen Hearts find out truly how deep the rabbit hole goes! We hereby summons your presence at the Mad Hatter’s Tea Party for a merry festival for Miss Ester, our not-so lucky guest of honor! Help Ester celebrate at our tea party with a host of tasks from Mask and hat design, life size croquet game, the house of cards, and more!